Dhaka, 18 April, Abnews: A few youngsters were in for a pleasant surprise when the legendary Sachin Tendulkar got down from his car for an impromptu batting session on the streets of Mumbai. 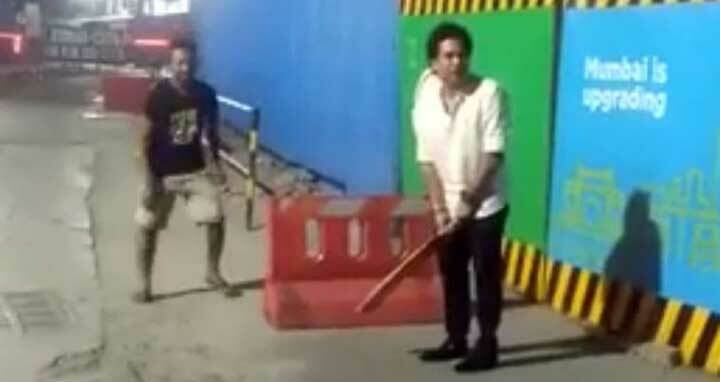 A video has gone viral on social media in which Tendulkar, wearing a white shirt and black trousers, is seen playing cricket near an under-construction Metro site in Bandra. The 44-year-old took the bat from one of them and had faced merely five balls before fans started to gather around him.